When the Philadelphia-based impact collaborative ImpactPHL decided to create a program aimed at bringing together impact investing leadership throughout the region, organizers expected the initiative would launch with no more than a handful of participants. “We were targeting six to eight organizations,” ImpactPHL chairman John Moore said of the Leaders program. “We ended up with 20.” In fact, the program now has 22 participants, with the possibility of more organizations being added in 2018. Moore said that’s because companies, institutions, nonprofits, and other interested organizations immediately saw the appeal of the Leaders program, which allows them to work together to further their shared goals of leveraging market forces to create not only economic opportunities via jobs and taxes but also nonfinancial outcomes that cultivate a healthier, more diverse, and more inclusive regional economy that benefits all citizens. The Leaders program works similarly to a trade organization, in which various stakeholders within an industry work together strategically, even if they’re competitors in other arenas. Launched in April 2018, the ImpactPHL Leaders program has already gotten off to a productive start in multiple areas, planning a quarterly roundtable on real estate impact investing and creating a working group to help social entrepreneurs convey their message to impact investors. Participating organizations, which include wealth management firms, philanthropies, family offices, economic consulting firms, and other diverse stakeholders, are not only pooling capital to help ImpactPHL access additional resources, but the region’s impact investing leadership are also lending expertise, connections, and other services to spur impact investing throughout the city. While Philadelphia has many advantages, Moore believes that other cities could replicate the success of ImpactPHL. That means pushing investors to deploy additional capital to impact investments, working with early-stage startups with impact-related missions, helping existing businesses understand and improve their impact, and promoting Philadelphia as a center of impact investing. 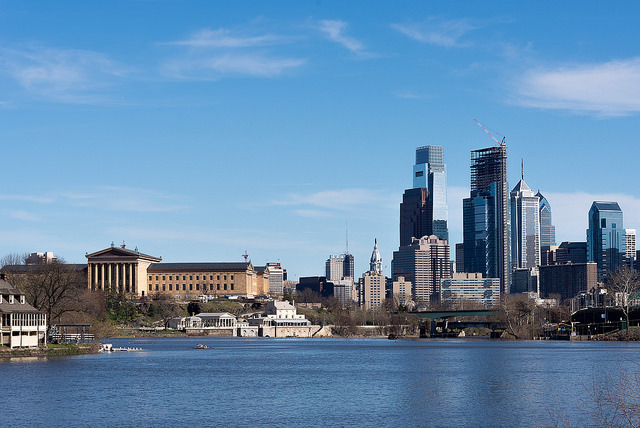 The Leaders program is just the latest initiative from ImpactPHL, a two-year-old organization aimed at helping foster the uniquely connected, active community of impact investors in Philadelphia. Moore says that the City of Brotherly Love has great potential in the impact investing space because of its appeal to millennials, the passion that residents have for the region, and its forward-thinking approach to business and capital. The city’s size also makes it ideal for impact investors. It’s the seventh largest regional economy in the United States, meaning there’s enough capital to make big changes—but it’s also small enough to be accessible.